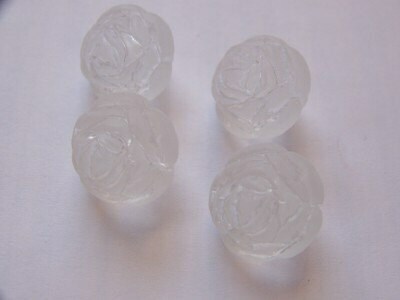 These are wonderful vintage rosebud beads. 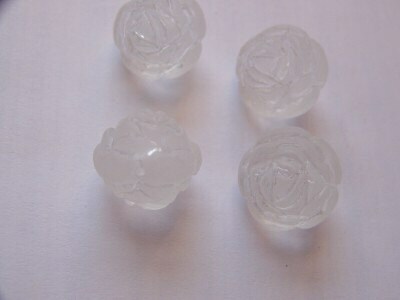 These are a frosted white bead that is etched to show the clear which allows the detail to really stand out. These measure 18mm. You will receive 4 of these. These were really hard to photograph. The details are are really nice on these. They are are not "flat". See my pink rosebud beads to see the kind of details these have. Excellent transaction as always. Thanks!